On a very windy day in December, a piece of wood was ripped from the roof of the stable at our equine shelter, so the animals were exposed to a period of very bad weather conditions. Responding to our call for help, Mr. Antonis Despotidis, the owner of an organic farm, “To Perivoli,” offered to repair the damage. 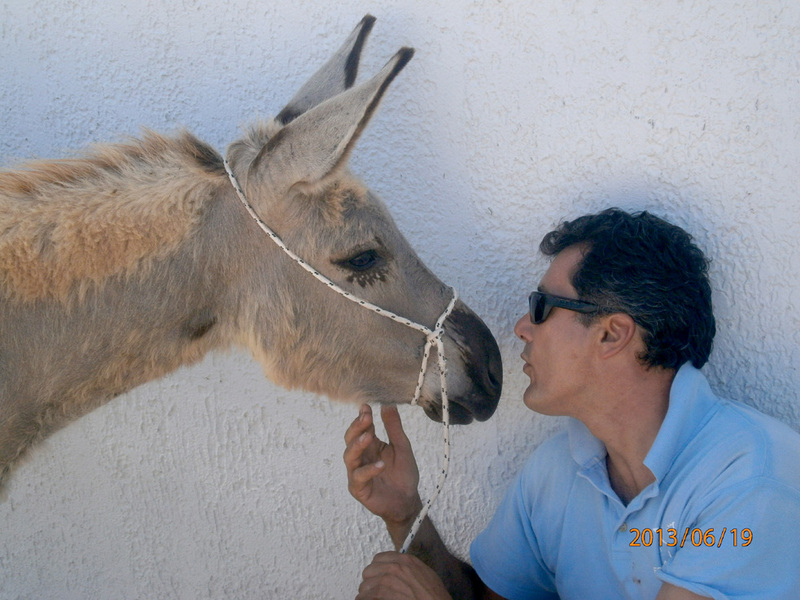 We want to thank him for his generosity in helping to give shelter to our equines. 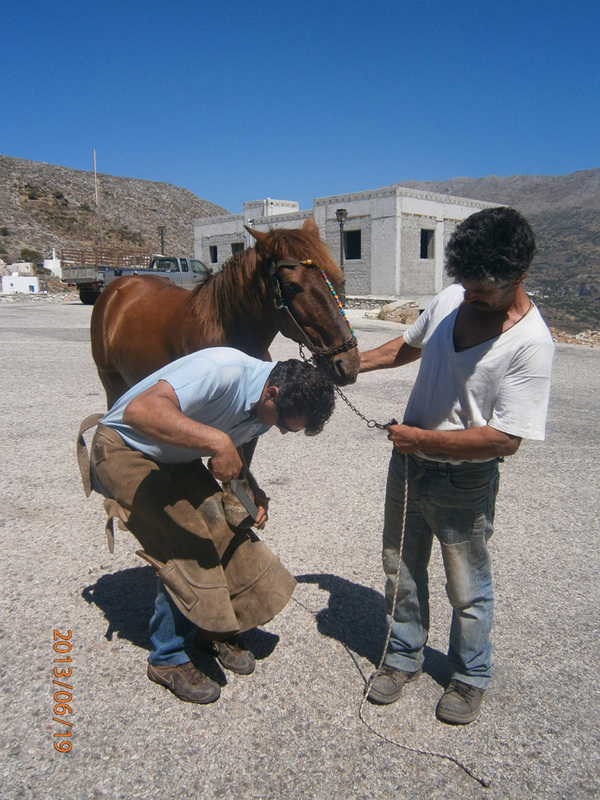 Unfortunately, it now seems that the entire roof of the stable must be replaced and the cost will be 1,000 euros. Won't you help us? Your generous tax-deductible donation would allow us to replace the roof. 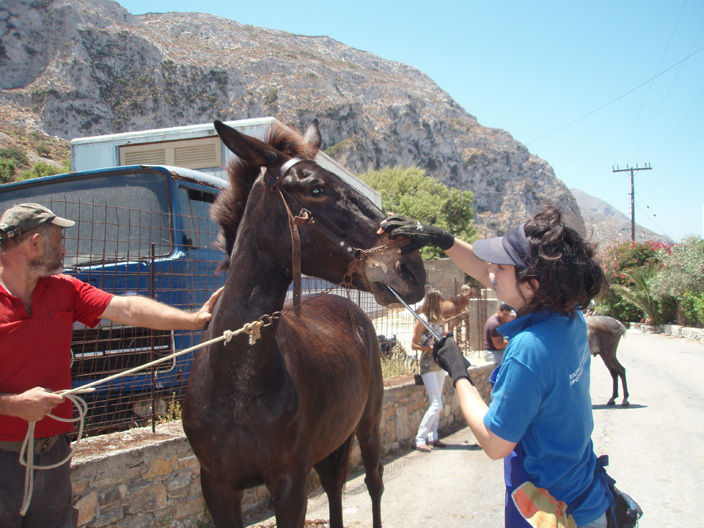 Please help Animal Zone International in continuing its important work for the vulnerable animals of Amorgos. These retired and elderly equines deserve to live out their lives in peace and comfort. 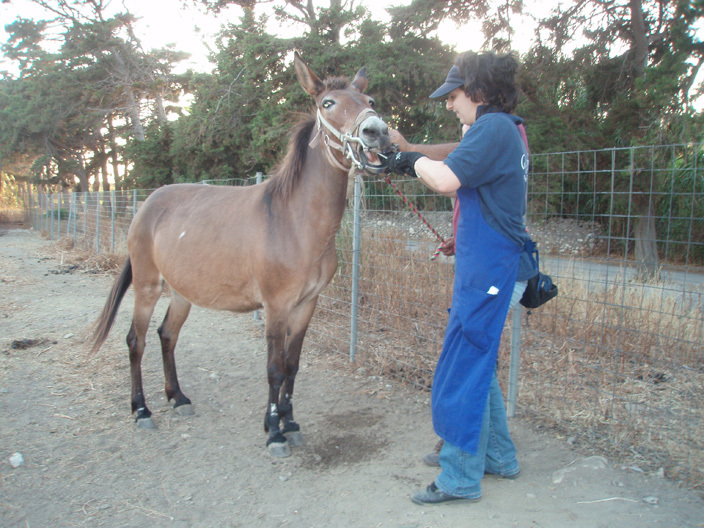 Help keep these equines comfortable and protected from bad weather. Thank you for your support! Last month an automatically-filling water fountain was installed in the equine shelter. What a wonderful device! 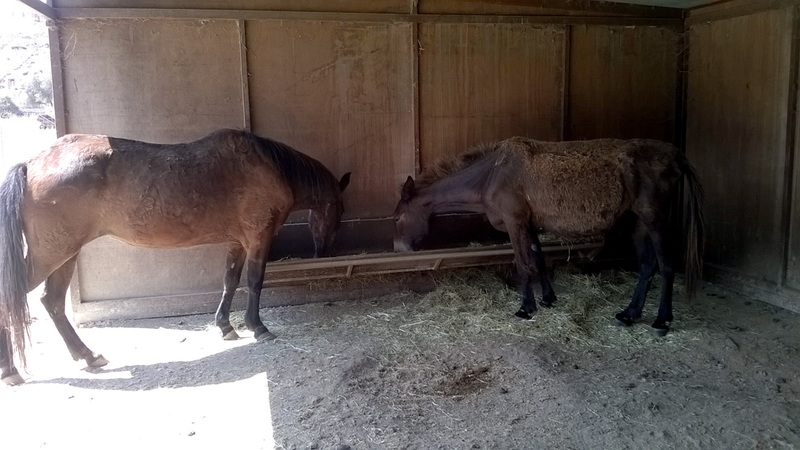 As we now host six animals in the equine shelter, having water available for them is a top priority, especially in the summer. My name is Piperina, not Pepperina or Paperina. The Philozoike people hardly knew how to spell my name, when they asked me to join Paola, the mare, who did not particularly welcome my arrival. Now we are getting along well. She gets most of the apples and carrots, however. The problem is I am rather old and do not move as fast as she does. Furthermore I do not see very well… I mean I hardly see at all. But do not tell Paola, please. Also, I tell you, these new friends may leave something to be desired when it comes to naming donkeys, but they take very good care of me. Actually Azi has made it possible for me to be treated with a new medicine and it maybe, it just may be, that I get back some of the sight I lost. Here you can see Doctor Despoti putting some green stuff into my eyes. She is assisted by Vangelitza, one of the earliest most devoted member of Philozoike. Too bad you don’t see much of her in these pictures. When I start seeing again I’ll teach them how to frame a photograph.